A good marketer can find lessons and inspiration from just about anywhere. Whether it's a leveraging a pop culture moment, new trends, or a season, great marketers can bring a brand to life by paying attention to what's going on around them and listening to their audiences. A good marketer can find lessons and inspiration from just about anywhere. Whether it's a leveraging a pop culture moment, new trends, or a season, great marketers can bring a brand to life by paying attention to what's going on around them and listening to their audiences. Take the pumpkin spice phenomenon as an example -- from the much anticipated pumpkin spice lattes (#PSL, anyone? ), to scented candles to online memes, you may see more pumpkin spice- themed marketing products and images than actual pumpkins this fall season. 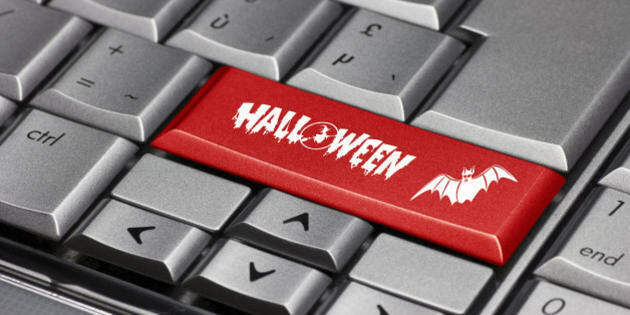 With Halloween just around the corner, it's worth taking a moment to consider the lessons that marketers can learn from this holiday, and think about how to pair it with technology to bring exceptional brand experiences to customers. Differentiate yourself from the competition. Whether you're dressing up your kids for trick or treating or you're heading out to a Halloween party yourself, chances are that the most elaborate and creative costumes will stand out from the rest and you'll be talking about them the next day. Brands, like revellers choosing a Halloween costume, need to stand out from the competition and offer something different. The 2015 State of Marketing Report by Salesforce revealed that the most pressing business challenge for Canadian marketers is keeping pace with competitors. With 52 per cent of customers saying they'd consider moving away from a brand they use to try a competitor, differentiation is key to not only keeping pace, but also keep customer loyalty. Whether it's through unique brand offerings, real-time customer service or even a stand-out social media presence, finding a way to differentiate is critical in today's hyper competitive market. Be at the ready always to engage with your customers. Every Halloween, the houses that have the best decorations and the most enthusiastic people handing out candy -- whether they're dressed in amazing costumes or spark a conversation with each trick-or-treater -- are the ones that have the most visitors. Marketers can learn a thing or two from these tactics. Brands that engage with customers are like those decked-out houses that delight trick-or-treaters -- they surprise, pique interest, and offer a compelling reason for customers to buy their products, tell a friend or share their love for the brand on social media. By showing customers you're ready to engage with them -- from offering personalized brand experiences or anticipating a need or issue with cloud-based Customer Relationship Management (CRM) tools, or providing customer service quickly and easily -- they'll be more eager to engage with you. Provide value at every customer interaction. Word travels fast amongst young trick or treaters: the houses handing out full-sized chocolate bars or a cool haunted house experience are quickly identified as must-stops on the trick or treating route. The homes handing out apples, toothbrushes or with zero decorations? Not so much. In business terms, the best customer experience drives the best value. Whether it's better products, faster customer service or frictionless shopping experiences, customers define value in various ways. When you cater to a customer need or desire, you increase your brand's value proposition, generate word of mouth, and drive loyalty. From a marketing perspective, this means reaching out to customers at the right time with the offering while using right channel. Artificial intelligence tools, like Salesforce Einstein, for example, which was a top focus at Dreamforce this year -- the world's largest software conference -- help marketers synthesize countless amount of customer data to ensure they're making smarter decisions and focus more of their attention on enhancing the customer experience at every touchpoint. Think about your own brand and how you might be able to turn some of these Halloween marketing tricks into marketing treats.